This Baga Bogd trip blog was written by our Mongolian partner on snow leopard conservation, Bariushaa Munkhtsog. Munkhtsog is a senior wildlife biologist at the Institute of Biology–Mongolian Academy of Sciences and President of Irbis Mongolian Center. 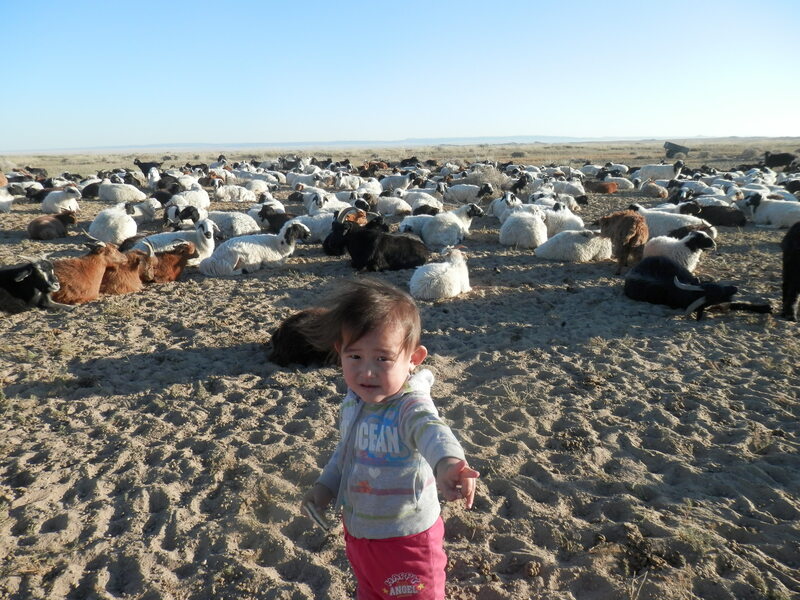 During the socialist times, until the late 1980s, Mongolia had some 27 million livestock, with more than 10 million offspring every year. Seventeen to eighteen million animals were butchered for meat or exported to Russia. When the Soviet Union collapsed and livestock was privatized, export of livestock to Russia was stopped due to poor veterinary service. With few jobs available, households depended on shepherding, and livestock numbers increased rapidly, reaching more than 50 million. As a result all wildlife habitats became occupied by livestock and herder camps leading to degradation of pastureland, conflict with predators, etc. Irbis Mongolian Center was established in 2001 to raise funding for snow leopard research and support conservation involving local herders. As a Mongolian NGO, Irbis (Mongolian word for snow leopard) has been a long-time partner of the Snow Leopard Conservancy, working on various interventions aimed at solving conflict between shepherds and predators such as the snow leopard and wolf, which prey on livestock. For example, we are testing electronic predator deterrent devices that can be placed in or near livestock corrals and that emit flashing lights to frighten off any predator. 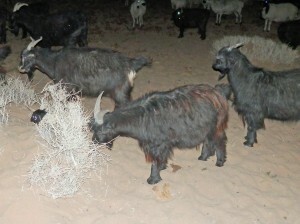 Two Nite Guards were initially deployed, and indicated that the system could work to protect livestock. We also tested Chinese devices that were about the same price but they broke down quickly. Under our joint project with the Conservancy, “Helping shepherds to protect livestock with solar charged predator deterrent devises,” we tested Predator Guards donated by Predator Guard founder Drew Waters. 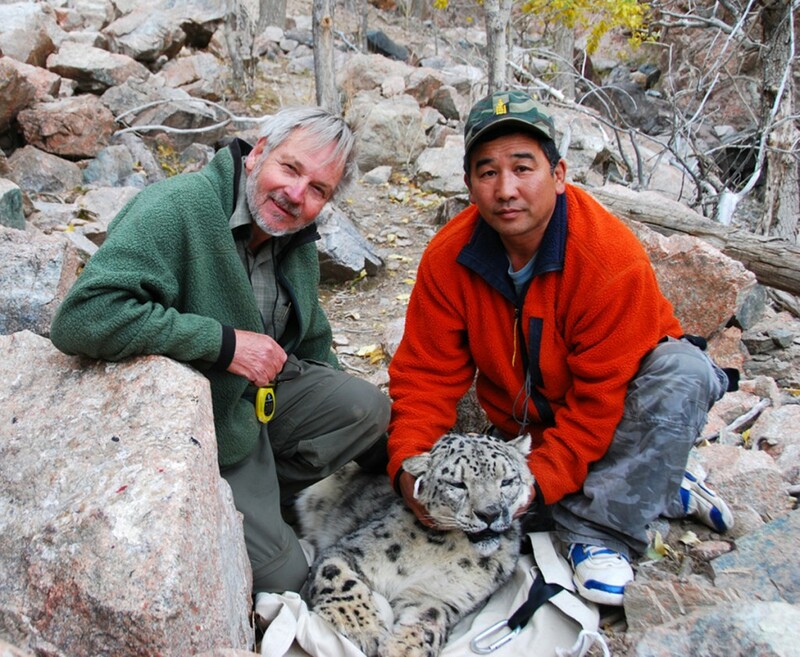 In September I visited Baga Bogd Mountain in Central Mongolia, where in 2008, Dr. Rodney Jackson and I radio collared a snow leopard and monitored with camera traps the population of snow leopard and prey. This time I visited herder families, interviewed them for loss of livestock to predators such as snow leopard and wolf, and assessed the result of using Predator Guard. Snow leopard attack the livestock in winter time mostly when the prey availability is scarce and herder families move to a winter camp for better pasture and warmer place with less snow. Wolves kill many livestock during other season at lower altitudes. 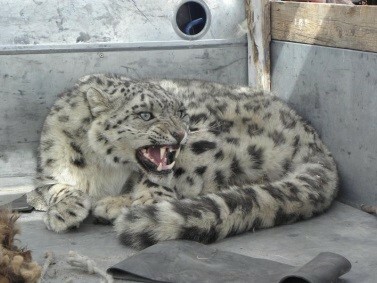 However snow leopards face the threat of being shot by herders, even if they are not responsible for the depredations. In one case, a young snow leopard was going to attack a herd of free ranging horses in the mountain pasture. 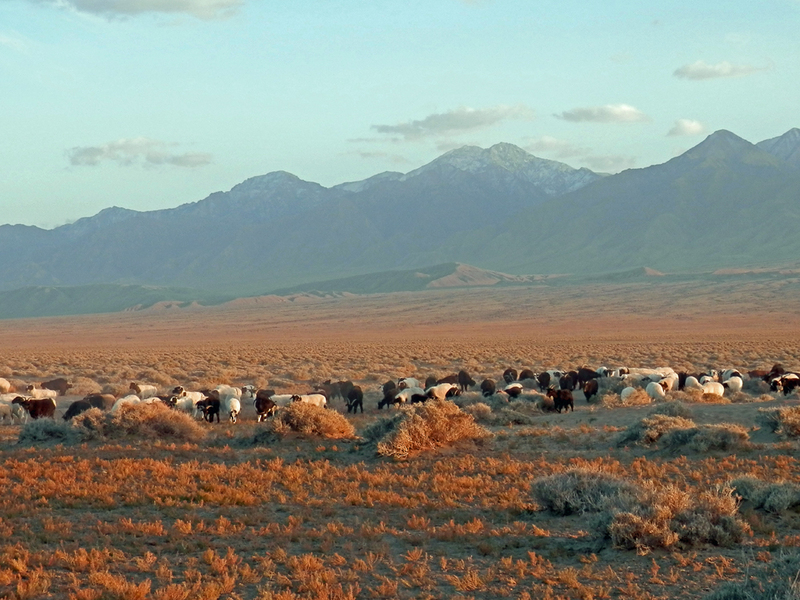 It was captured by angry herders and loaded onto a small truck, but at last was released thanks to quick, effective involvement of conservationists in western Mongolia. Last year, Mr. Davaadorj’s family lost more than 30 sheep and goat to wolves and several to snow leopards, but this year thanks to Predator Guard no livestock was lost to snow leopards, and just 5 to wolves. 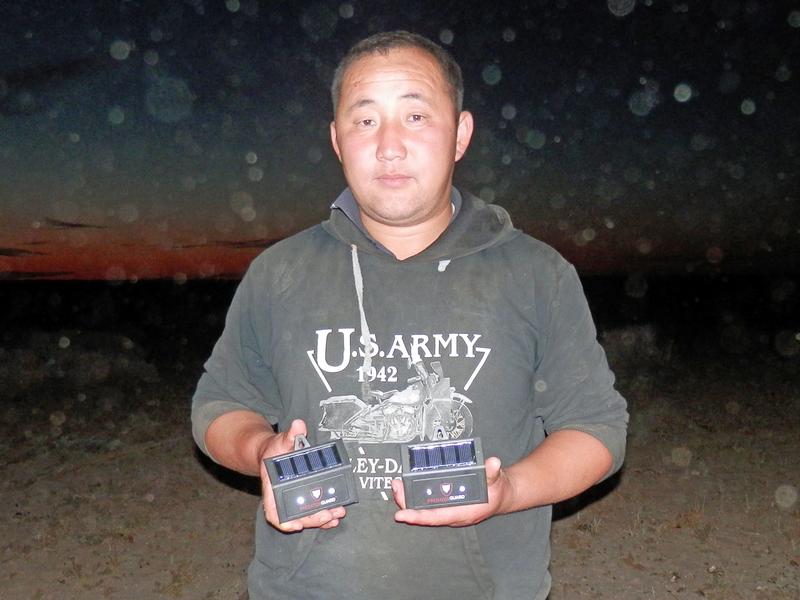 Same with Mr. Sh.Tsendhorol’s family; the loss decreased significantly using the solar charged predator deterrent devises. The economic benefit to each family ranged from 6 to 27 sheep and goat, worth $490-$2200. This is a big amount of money, as herders’ yearly income averages $3800, earned by selling cashmere from the goats in late spring. There are 17 other families in the valley and hundreds in Baga Bogd Mountain looking at the three families who tested the Predator Guards with a bit of jealousy, wondering when they could have such a wonderful tool. 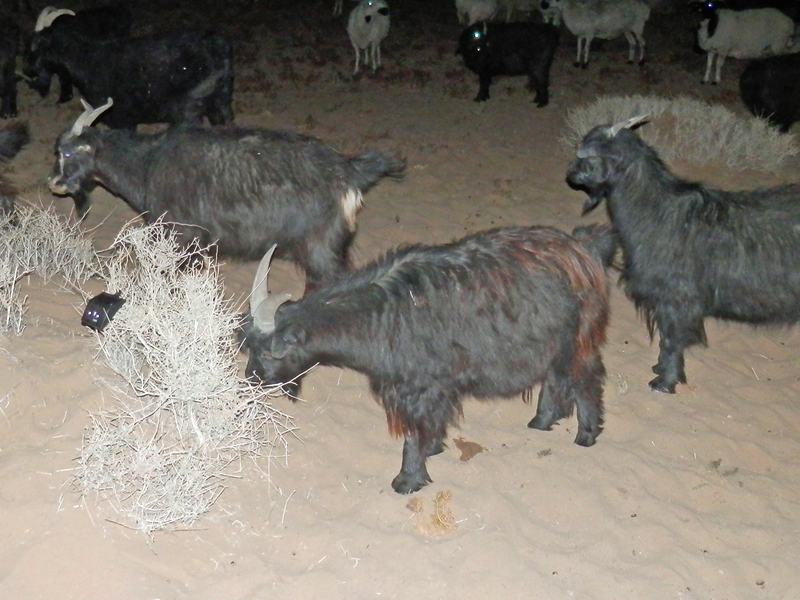 Besides the economic benefits herders get from the project, they are happy to be able to sleep quietly at night when the Predator Guard is working and they do not need to get up several times, sometimes all night, to shoot to the sky (sometimes to elusive endangered snow leopard) to keep livestock – their main source of income – safe. Conservationists are also happy when the predators do not attack livestock and herders are involved in conservation and monitoring of endangered wildlife thanks to reduction of livestock losses. If you would like to support our work in Mongolia or donate $25 to purchase one Predator Guard for use in Mongolia or other snow leopard range countries, please click on the button below.